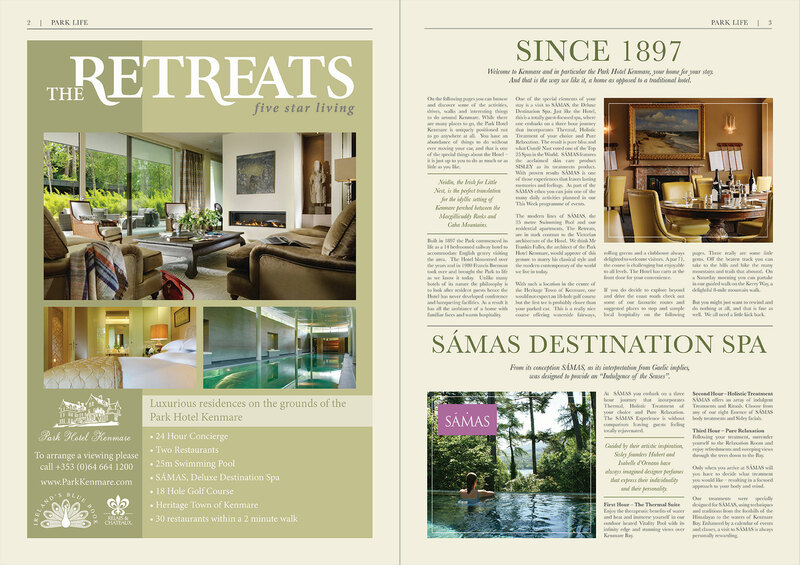 We were asked by The Park Hotel to design a brochure that wasn’t a brochure, highlighting the services and facilities the hotel had to offer. 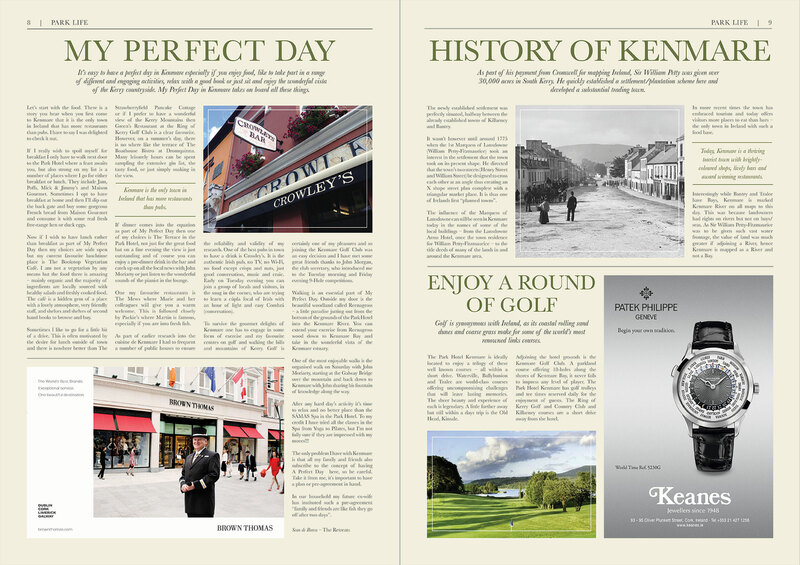 What resulted was a 12 page A3 newspaper full of interesting articles about the Park Hotel, history, activities, spa and adverts from some of the hotel’s top clients and suppliers. 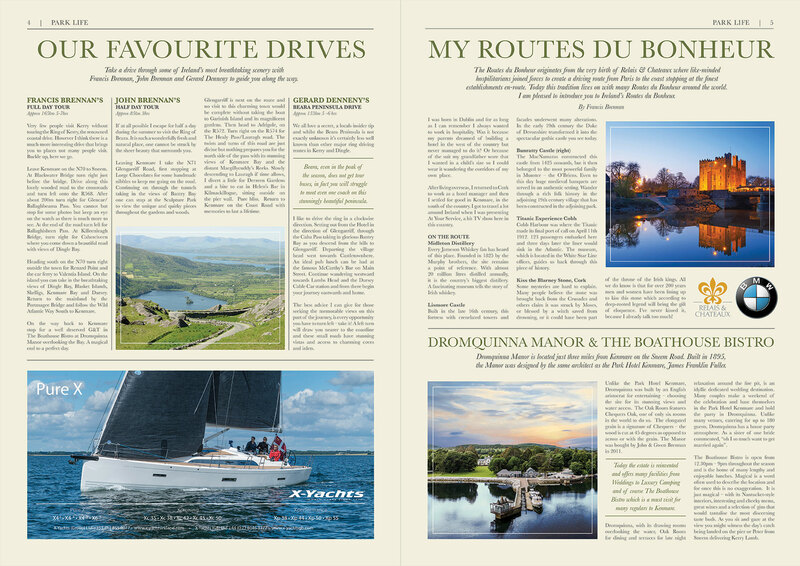 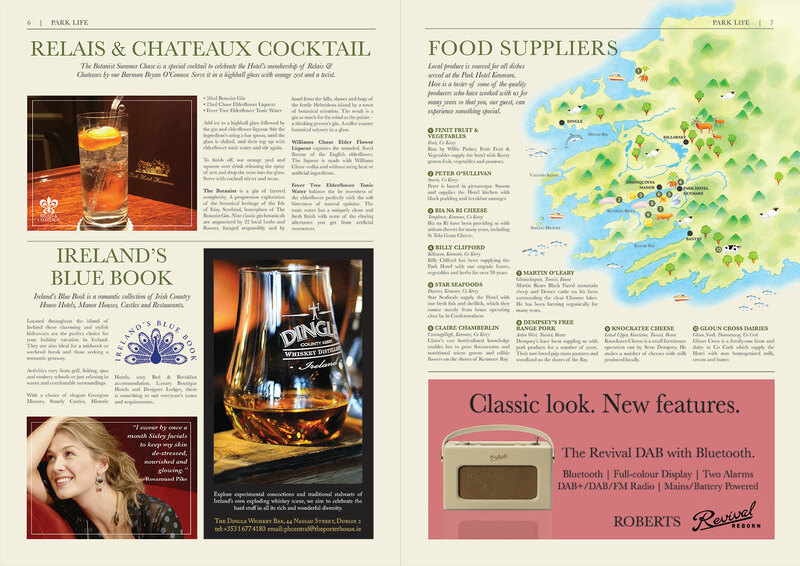 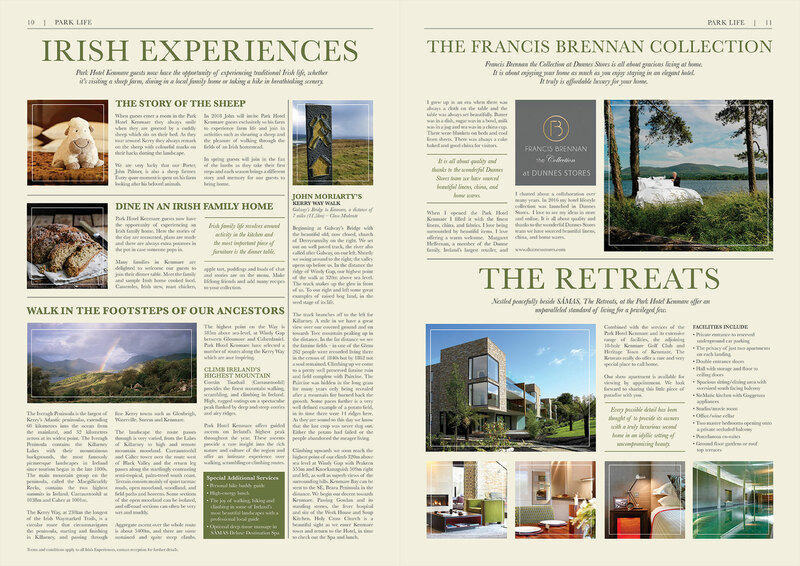 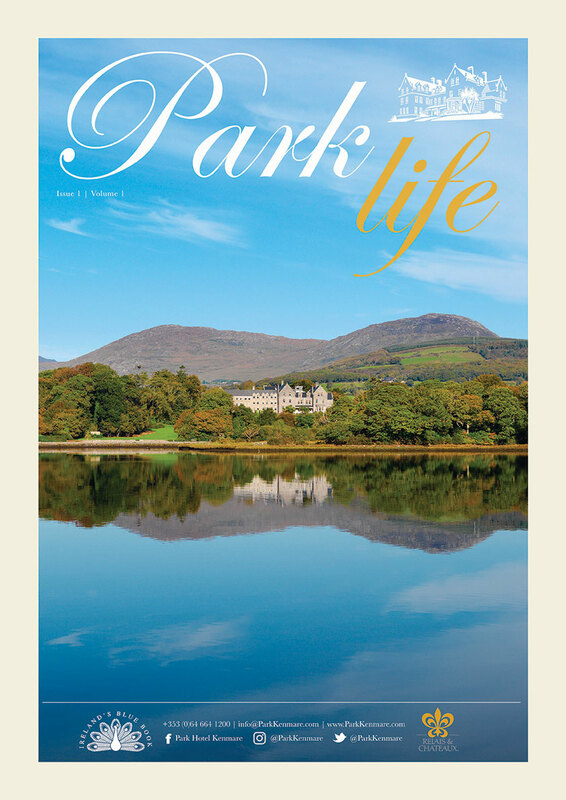 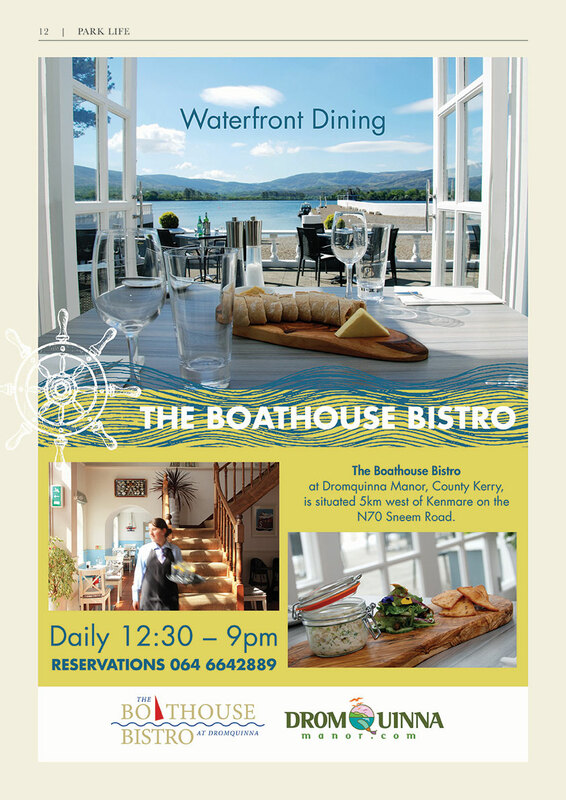 The newspaper was printed full colour throughout, on 100gsm uncoated stock, using the hotel’s existing logo and branding, colours and style, most of which has been developed by Dennison Design through its long-standing relationship with the Park Hotel Kenmare and Francis and John Brennan.